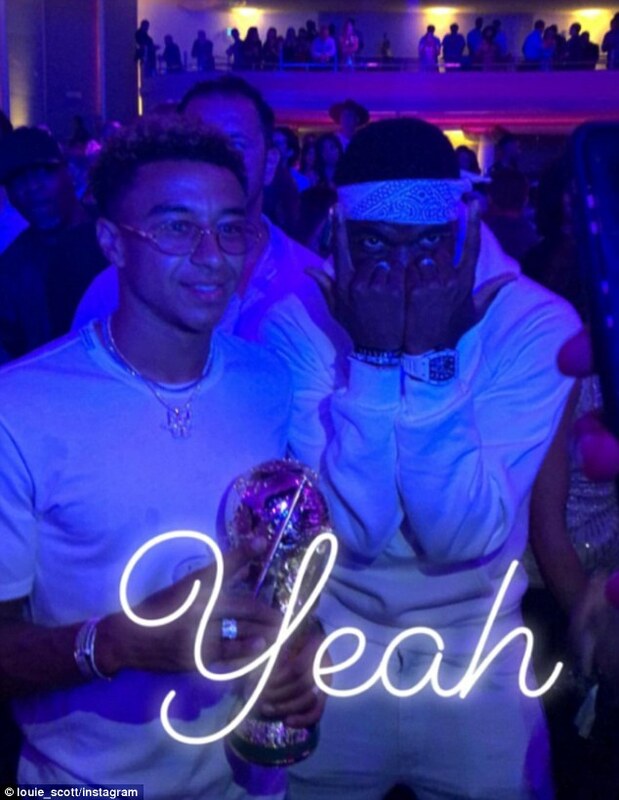 Paul Pogba continued to enjoy himself in Los Angeles as he was joined by Jesse Lingard and some of his France team-mates at a star-studded event on Saturday night. 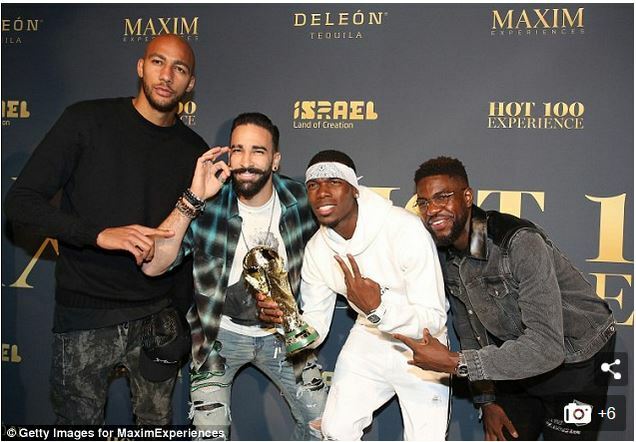 World Cup winners Pogba, Steven Nzonzi, Adil Rami and Samuel Umtiti and England forward Lingard looked in good spirits as they attended the Maxim Hot 100 party at the Hollywood Palladium. And the France quartet made sure to remind their fellow party-goers of their success in Russia as they brought a replica World Cup trophy with them. 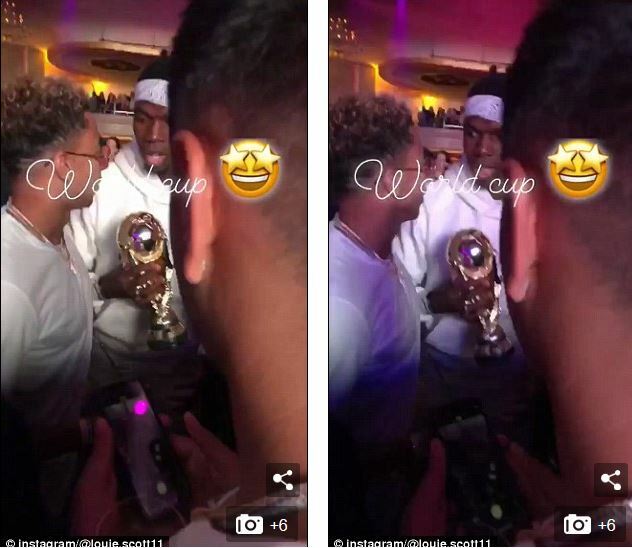 Lingard’s brother Louise Scott took to Instagram to document the night out, sharing photos of himself with the two Manchester United stars. United boss Jose Mourinho has given the World Cup competitors within the squad an extra recovery period, which means that Pogba and Lingard will not be needed for three weeks. Pogba has been enjoying his time off after a summer that has seen him lift football’s grandest prize and simultaneously prove his critics wrong with some dominant performances against the world’s best.